Previously published in Today's Defense: Defense Technology News and Weekly Blitz. The word 'Vedic' comes from the Sanskrit word 'Veda,' which means 'pure knowledge.' 'Defense' is defined as 'resistance against attack; protection.' The word 'technology' implies basically 'applied science.' Vedic Defense Technology as revived by the late Vedic scholar, Maharishi Mahesh Yogi, involves applying the pure knowledge of Veda to protect society: to "avert the danger that has not yet come.' Maharishi's preventive strategy includes establishing a permanent group of meditating peace-creating experts whose daily practice of his Transcendental Meditation - and TM-Sidhi program creates a more coherent national and world consciousness, and thereby prevents negativity from arising in the nation. Similar coherence-creating groups have been deployed in many war zones and conflict-prone areas with great success. Extensive scientific research indicates that when a group the size of the square root of 1% of a given population practices the advanced TM-Sidhi program, a 'field effect' of social coherence is created throughout that population. Scientists call this field effect of consciousness the 'Maharishi Effect' after its discoverer. Many carefully controlled studies have documented and validated positive social trends such as reduced conflict and lowered crime rate resulting from this field effect. These studies have been scrutinized and published in respected peer-reviewed journals such as Social Indicators Research, Journal of Conflict Resolution, Journal of Mind and Behavior, and Journal of Crime and Justice. The coherence-creating effects of Vedic Defense Technology have also been documented on a global scale in a study recently published in the Journal of Offender Rehabilitation: when large assemblies of practitioners of the TM-Sidhi program exceeded the Maharishi Effect threshold for the world (about 7,000 at that time) during the years 1983--1985, international conflict decreased by 32%, terrorist casualties decreased by 72%, and violence was reduced in other nations without intrusion by other governments. Since ancient times, Nepal has followed certain Vedic traditions but has not in modern times created and maintained such a coherence-creating military group. Since the Nepalese Army began participating in peacekeeping missions, its troops have followed some Vedic traditions in operational areas as a part of their daily routine. This has resulted in increased positive attitudes and unit cohesion in operational zones. In brief, we can say that Nepalese troops have been found to be more popular in peacekeeping operations. However, in official or formal mission tasks, there has been no widespread application by Nepal of Vedic Defence Technology in peacekeeping missions to create social coherence. The reason could be due to lack of knowledge or confidence about the Vedic Defence Technology and its promising potential for use in United Nations (UN) missions. Since the goal of Vedic Defence Technology matches the goal of UN missions to achieve sustainable peace in the world, the authors urge UN leaders to support its implementation. The goals of the UN focus on peace and security and accountability towards society and public safety. Social problems like poverty, unemployment and insecurity, which are often found in the conflict areas, produce 'negativity' and 'collective social stress' in the environment. VDT is a scientifically validated and reliable approach that dissipates negativity and collective social stress from the operational area. The chances of sustainability of peacekeeping missions will be greater if we can employ the peacekeepers to break the link between stress and the enemy, as shown in Figure B, rather than between war and stress, as in Figure A. The latter situation results in frustration and ultimately can lead to war again. Peacekeeping operations conducted by peacekeepers should not be aggressive by nature; they should be designed to win the hearts and minds of the population, which does not usually happen in military operations and Civil-Military Operations alone. Total peace cannot be achieved unless there is positivity in the environment, and this outcome can be quickly and easily accomplished through Vedic Defence Technology. As a land-based or sea-based force - Vedic defense activities can be conducted without any hindrance, as most UN missions are conducted on land. However, in theory coherence-creating groups could be based at sea. For instance, a carrier battle group can be comprised up to 10,000 people. Such a sea-based VDT fleet of ships would have the added advantage of creating social coherence and not infringing on anyone's territory. Non-Religious - Although VDT originates in the Vedic tradition of ancient India, it is non-religious in character. UN missions need to be non-religious as well, especially, in those operational areas where conflicts have religious causes. Thus Vedic Defence Technology can be implemented with confidence due to the similarity of the non-religious character of VDT and mission goals. Non-lethal - VDT is a non-lethal means to achieve peace. It can be attained by a group of experts sitting together at a distance from the conflict. As UN operations should also be non-lethal by nature to protect the society and the population, this aspect of non-lethality correctly fulfills this requirement. Non-Destructive - VDT will not destroy property or harm people, as it is applied without we apons. Since UN missi ons are focused on minimum use of force, it is very clear that VDT, which does NOT utilize force, should be recommended. Non-Partisan - VDT is effective and can be easily implemented in, or in proximity to, an area where conflict exists. Impartiality plays a significant role in UN missions as well. VDT can be implemented in any area, and utilized by any population; it requires no change in lifestyle and no adopting or changing of any religious beliefs. VDT can be utilized along with 'Operations Other Than War' (OOTW) to enhance positivity and reduce social stress so that peacekeepers will be more successful executing their routine military operations. As this technology will be completely new for UN missions in the initial stage, Vedic Defence can be first implemented by countries like Nepal and India who would feel more comfortable due to their Vedic cultural heritage. With appropriate training, these troops could become a 'dual-nature force' that could perform conventional military duties as well as Vedic techniques. Lastly, if necessary, VDT forces could be used as a reserve force, deployed to operational areas according to the population and security requirements of the area of responsibility. VDT is a simple and secure method that can be applied by a group of trained peacekeepers at a distance, from a safe and secure area. Its positive effects radiate into the environment, reducing the collective stress responsible for conflict. Could the ideal of VDT's preventive defense be accomplished by non-Vedic societies today? Yes! VDT has already been implemented in Latin American countries like Ecuador. Are soldiers from a non-Vedic culture willing participants in such an unusual endeavor? Again, yes! A study was conducted by Ecuadorian army psychologists to assess the value of Invincible Defense Technology preventive defense program after soldiers had been practicing it for one month. (In military circles VDT is also known as Invincible Defense Technology or IDT because the military that utilizes it creates no enemies--and since there is no one to fight, the military becomes 'Invincible.') The results? Over 96% of the soldiers thought IDT was a very practical activity. Why are these warriors convinced? As the study showed, 92% felt their performance in activity had improved and they were better able to deal with stress; 96% declared their relationships with others had improved; and 95% said their practice of IDT was completely satisfying. The next time the UN decides to participate in peacekeeping efforts, they should give serious consideration to utilizing VDT for a more sustainable approach to creating peace on Earth. 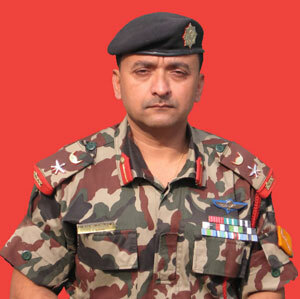 Lt. Col. Jitendra J. Karki commanded a Nepalese Battalion in United Nations Organization Stabilization Mission in the Democratic Republic of the Congo (MONUSCO). He is a member and alumni of The Near East South Asia (NESA) Center for Strategic Studies at National Defense University, Washington DC, USA. 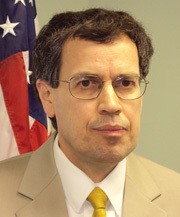 Dr. David Leffler is currently the Executive Director at the Center for Advanced Military Science (CAMS). He served as an Associate of the Proteus Management Group at the Center for Strategic Leadership, US Army War College, and has published in over 400 publications worldwide on the topic of VDT.